volunteer activities, and support of a wide network of non-profit organizations. If you want to apply this job,you should submit your application within 25 March 2018. 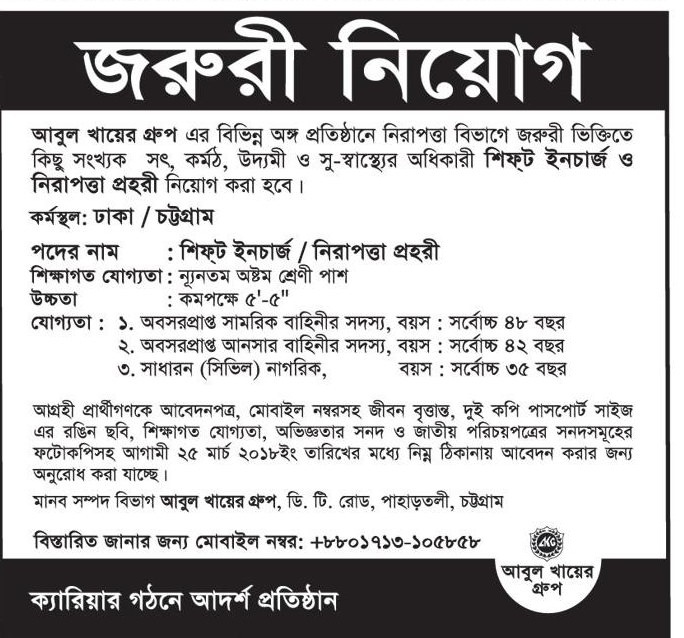 Abul khair group job circular 2018 has been converted to an image file, so that everyone can easily read and download this job circular. 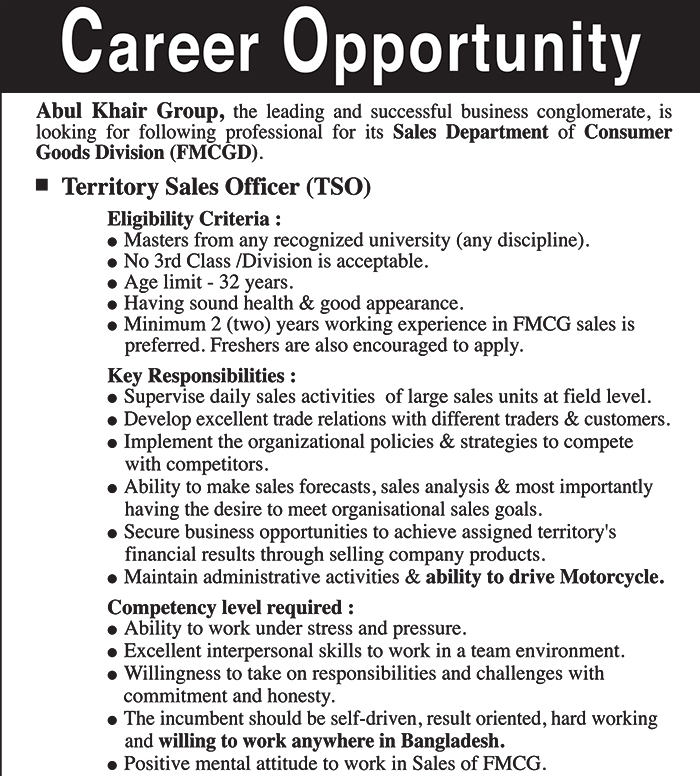 Abul khair group job circular 2018 has been given bellow.